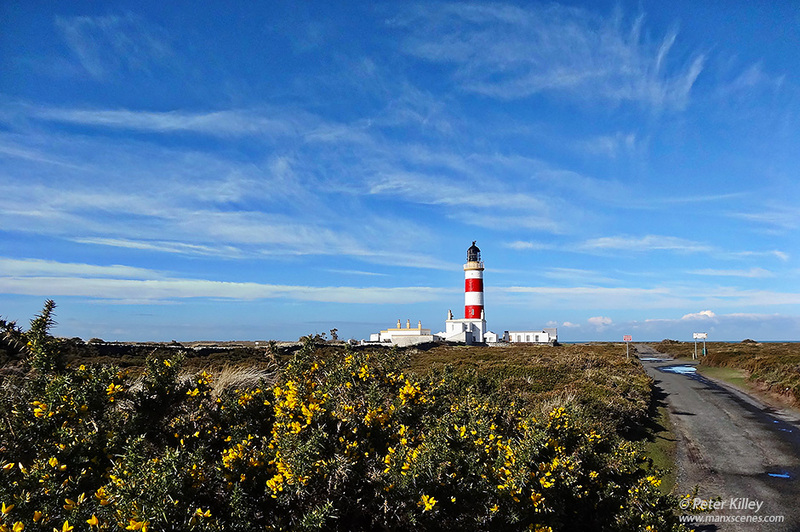 Wonderful Springtime photo of my former home I can almost smell the sweet coconut aroma of the gorse flowers, mixed with the salty seabreezes I lived at the Lighthouse with my daughters Claire and Jane in the 1980’s when married to Lighthouse Keeper Steve Morrow. Am now living in sunny Corfu but remember the Isle of Man with great fondness. If only it was warmer!!! HI val. lovely and warm here at the moment 18 c today often wondered were you ended up.